Mega Bloks sent out a promotional email headlining some new Halo products this coming fall. Included were two previously never seen Halo vehicles. 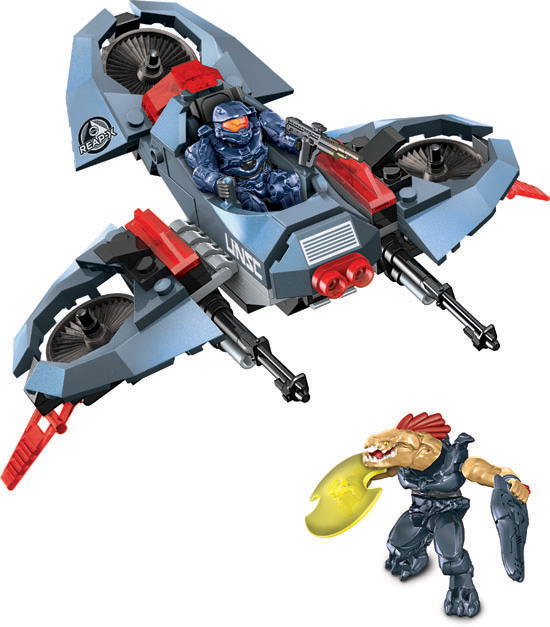 Now Mega Bloks has followed the Halo lore to the teeth when it comes to their toys, accurately depicting characters and vehicles from multiple Halo games; from Halo CE, to Halo Wars, all the way to Halo 4. Many are speculating that these vehicles may appear as DLC to Halo 4 (perhaps along with Spartan Ops Season 2, which still hasn’t announced as either DLC or bundled with Halo 5). Or, these vehicles may appear in a future Halo title, i.e., Halo 5 or 6. Or, there’s always the other option that these vehicles may never appear. Which is highly unlikely as why would a company decide (out of the blue) to create whatever they want when they’ve been accurately following the Halo lore for so long. 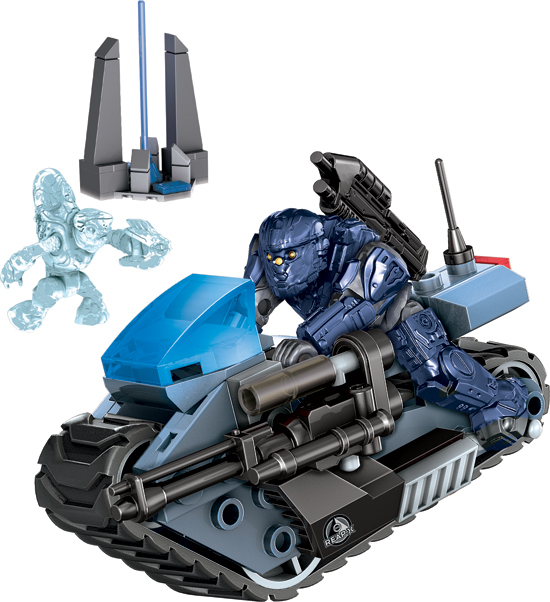 “ONI’s solution to single-manned rapid assault vehicles like the Covenant Ghost or Brute Chopper is none other than the UNSC Siege Bike. Positioned on a heavy-grade, all-terrain single traction tread, the Siege Bike can easily traverse challenging environments, reaching speeds of over 145kph (90mph) while maintaining incredible control and field dexterity. The forward-facing armor plate protects the operator while displaying intel for tactical information, as well as firing system controls. I would personally love to see these vehicles in any video game form. Many fans were left with their heads hanging low when 343i confirmed there would be no UNSC flying vehicle.